Unless you've been living on the moon, you already know what local search is and how important it is to your business. Customers searching for your product or service online are going to Google and searching for particular keywords. Don't worry, we not gonna bore you with a bunch of industry jargon that no one understands. However, if your interested in learning about meta tags, alt tags, backlinks, blurbs, blog posts, link baiting, and general keyword algorithms, you can learn more by visiting our What We Do section. Ask yourself this one question, when local customers search for what I sell, do they find me? If the answer is no, then you need Direct Aim Media in your corner. We will get your keywords ranking at the top of Google and help you receive more traffic to your site with proven results. Stop giving your customers away to your competitors! If you're two pages down, you won't be found! are you in top position? "Thanks Rob, you definitely made a believer out of me! 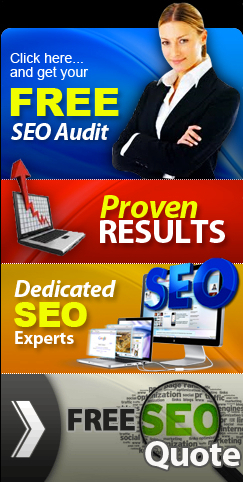 Look forward to seeing our site potential as we continue with the SEO campaign. Don't hesitate to use me as a referral for other potential clients you have. I would be happy to put a good word in. Wow, not only did they design us a killer website, but we went from nothing to dominating our keywords in the cities that matter to me the most.